The boat currently has no electrical power and the outboard does not have a charging facility. The main use for the power would be for charging our handheld VHF and mobile phones. Perhaps later navigation lights or other equipment could be added. 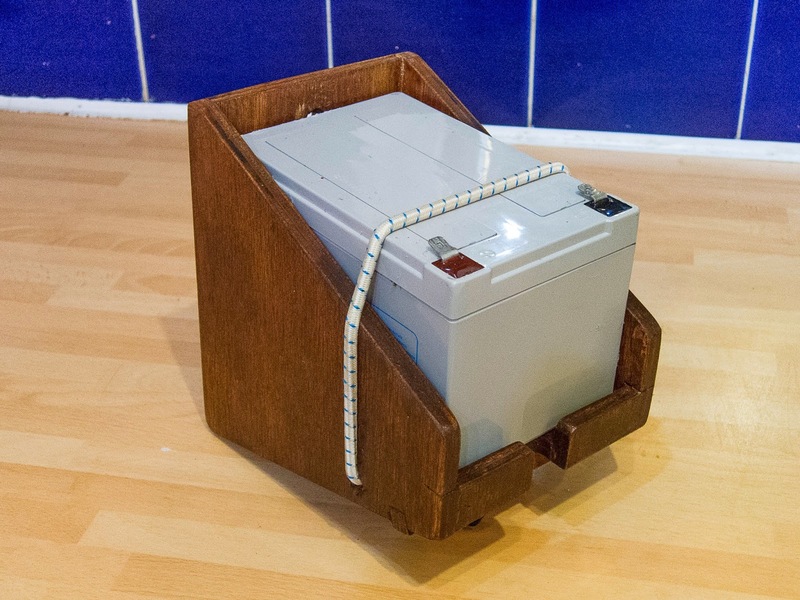 The initial idea is to use a small 12 volt battery that can be initially charged at home and then kept topped up with a small solar panel hung in the window. A simple circuit, using an in-line fuse and car accessory socket would be make for an easy installation. 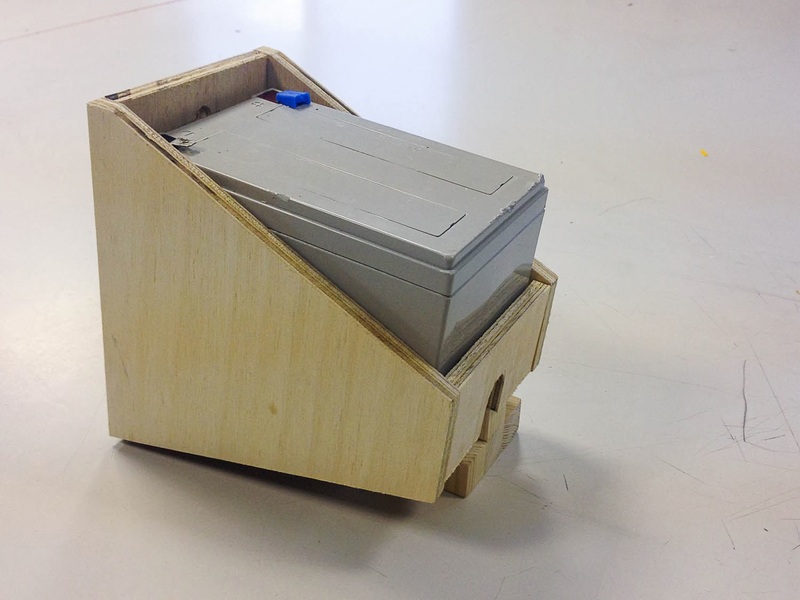 The battery will be held in place in a simple wooden box, which will be fitted out of the way, under the bridge deck. 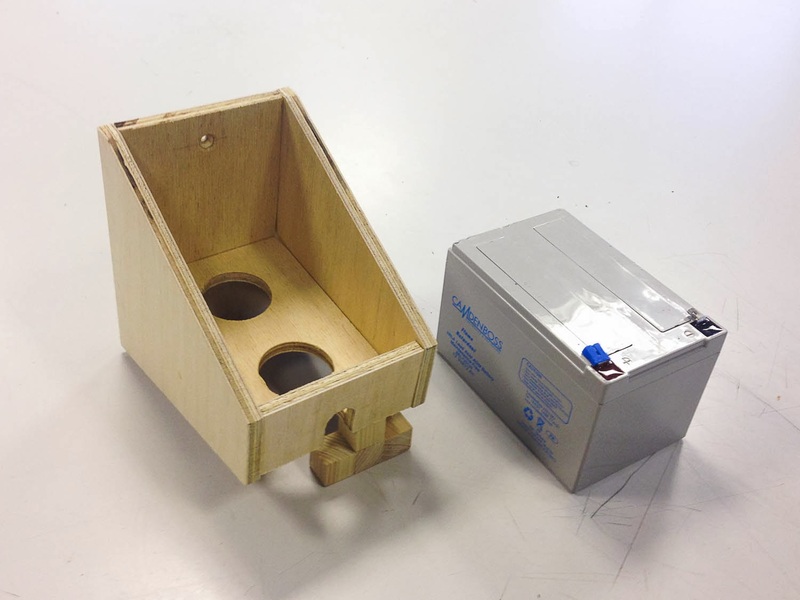 The wooden box is shaped to fit the bottom of the boat and held in place with a single bolt and some silicon sealant. The battery is a Camden Boss 12 volt 12 AH sealed unit. Only a seasons use will tell if it has enough capacity. 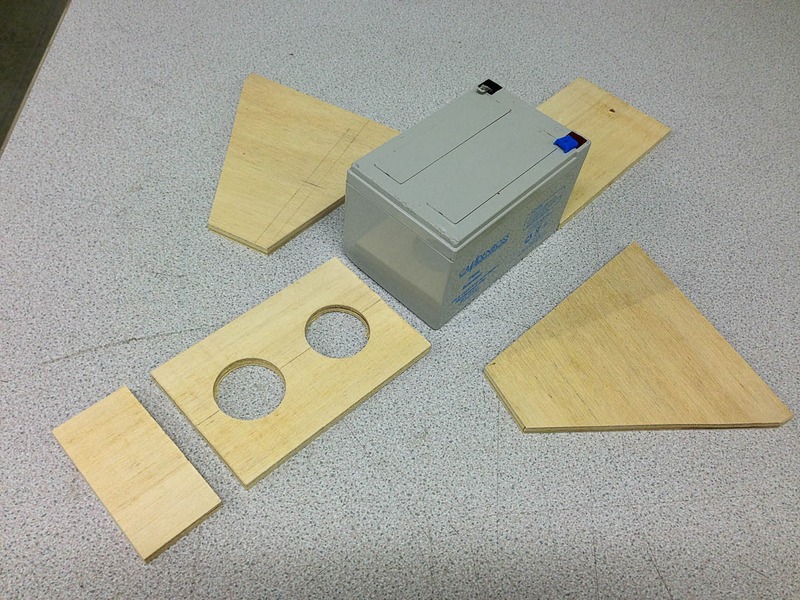 Once fitted it soon became apparent that the design was not right and removing the battery was very difficult. Therefore the front panel was lowered and a piece of shock cord was added, holding the battery in place.